Paul Wooden will be back in Bendigo for this one day workshop on February 24th. In yogic philosophy, the subtle body is comprised of energy (prana), mind and intellect or wisdom. When entering the mandala of the subtle body we come into much more fluid terrain. This terrain is not only subtle, it is also illusive and malleable. We must cultivate and refine the required sensitivity to perceive and work with these delicate changeable fields of experience. It is an intimate process and of course takes time and patience. This workshop will be an experiential journey towards a deeper appreciation of and sensitivity to the subtle body through restoratives, pranayama, mantra, yoga nidra and meditation, and philosophy. There will be less asana to give us more time to explore this subtle field. I hope you can join us. Suitable for serious students and yoga teachers..
A refund upon cancelation (less a 10% admin fee) will only be given if your place can be filled from our waitlist. If your place cannot be filled from our waitlist no refund is available. Paul Wooden, now based on the island of Palawan in the Phillipines, has been running yoga and meditation retreats for over 25 years. 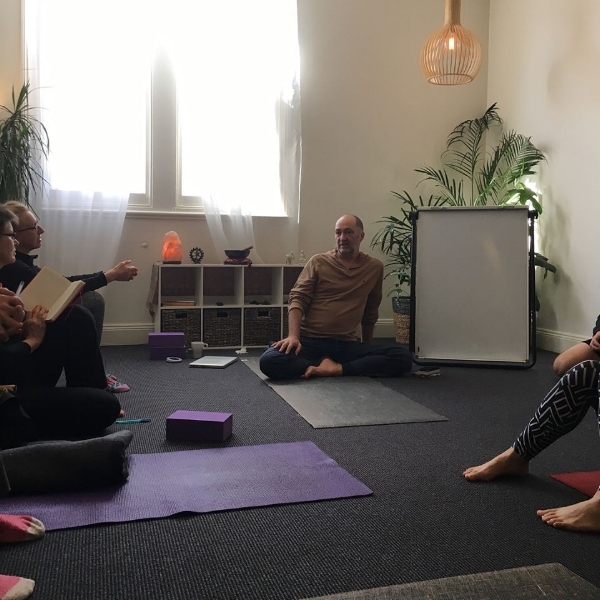 He started his own very successful yoga studio and healing centre, Gertrude Street Yoga, in 1997 guiding it to become one of the Melbourne's finest yoga centres. Besides his 30 plus years experience with yoga and meditation, he is a qualified cranio-sacral therapist and continues his studies in working with trauma in the body. He sold the studio in 2011 and has since been taking his teachings and yoga retreats internationally. He has had the vision of building the perfect yoga and meditation retreat centre for many years.